Regardless of being a newbie or an experienced one, you should follow some tips every time before hitting the road with your RV. 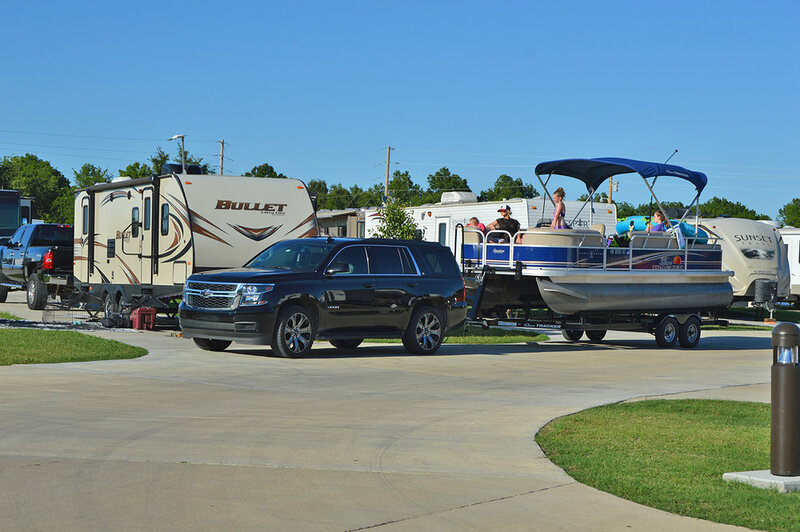 Grand Lake in OKC is one of the immensely popular places for RV camping. Camping on a wheel is an adventure, but for making it a part of your good memory, you need to take some precautions, be enriched with required knowledge, arrange all the needful to avoid any sudden mishap. These tips are essential for the newbies and for the experienced one to brush up their knowledge. During camping, RV will be your home, but still, you should also know the nearest RV resort at Grand Lake, OK, as a backup plan. To know the fundamentals, the newbies first understand that RV camping is not like a simple vacation. It is much more than that. The essentials of RV are not limited to clothes, toiletries, wallet, cell phone and personal accessories. The RV is going to be your new home for the coming days during camping. Therefore, the list will include pillows, window shades, sheets, cooking utensils, cutlery, hand towel, toilet papers, toilet chemicals, home cleaning appliances and any possible thing you need regularly. These will be supplied in RV resort at Grand Lake, OK, but are needed to be present in the vehicle. Before starting your adventurous journey toward Grand Lake for RV camping, you need to check these below-mentioned things to keep troubles away in your vacation. Check the tires. Ensure that these are tightened with an adequate twist at the proper poundage. Maintain your tires in the winter and don’t forget to replace them after expiration. Watch the brake lights. Keep a spare light kit for an emergency. Keep a tool kit, first-aid kit along with and a map. Take the help of GPS, if you crave to take an unconventional route. Always keep an eye on the water level of your battery. Add distilled water, if needed. Keep pre-chilled items as much as possible. The less use of a refrigerator means less hassle. Don’t forget to close the fridge door always. Check out the water leakage. Overlooking it can trouble you during camping. Check for help from RV resort at Grand Lake OK to carry on the journey peacefully. Ensure that you are not connected to electricity while traveling. Be careful and stay safe. You are going with your RV to enjoy the adventure and living out of the box for some days. In spite of taking all the precautions, if any mess interrupts your enjoyment, contact Monkey Island RV Resort and Cabins. You may also consult Monkey Island for more suggestions before starting RV camping at Grand Lake, OK. Newer PostBoat Show Starts On The 29th! Older PostFun Facts About RVing!